A majority of Tasmanians have indicated support for a move towards active and public transport. They also say infrastructure changes need to be made to minimise the impact of vehicles in the CBD. New technologies and ‘Smart City’ principles are also popular with Tasmanians and have the potential to significantly change the way we travel. 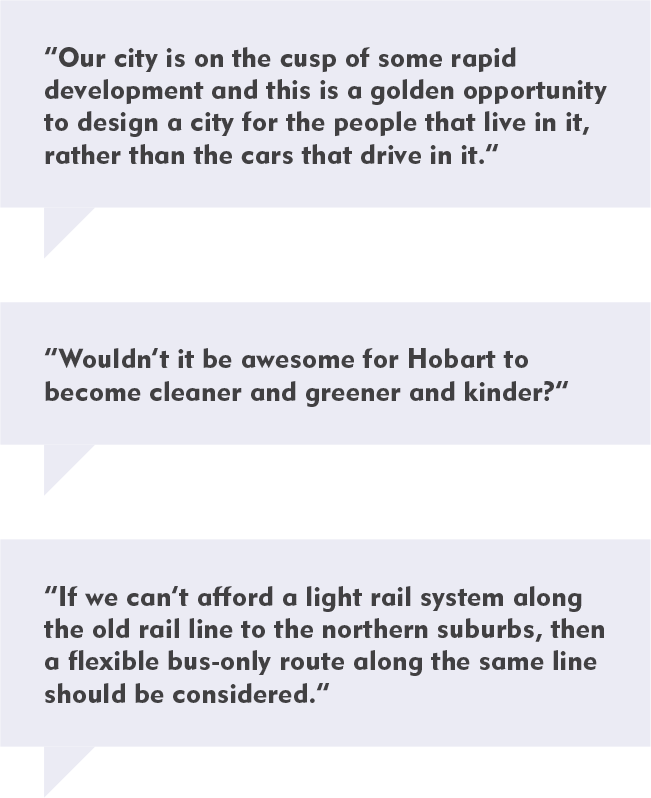 Tasmanians also say the River Derwent should be a key part of our transport future.